Marketing Analytics aims to optimize the interactions between a company and its customers. Companies such as supermarkets, telecom operators, on-line service providers and other retailers, with hundreds of thousands or even millions of clients, are in need of strategies to efficiently manage their customer base in order to maintain and improve profitability. Marketing analytics are technologies that are developed to extract information and knowledge from customer data, which is often present in abundance. A profit-based classification performance metric has been developed by our team that enables the identification of a classifier that maximizes the profit in marketing campaigns. We have applied this metric in a customer churn context, where it takes the cost of offer and the customer lifetime value (CLV) of retained customers into account, and provides additional guidance for the optimal fraction of customers to be targeted in the retention campaign. Since the application of such evaluation metrics is of course limited to the post-model construction step, our research team is also developing a classification technique that explicitly takes profit maximization concerns into account during the training step, rather than the evaluation step. This allows the construction of a profit-sensitive classifier that coherently incorporates costs and benefits, and thus better aligns with business requirements, i.e. profit maximization. In recent work, we have set out to construct a series of algorithms which are able to take the profit measure into account during the training step of a predictive model. As such, we have developed the ProfLogit classification technique, which is based on the logistic model structure but optimizes the regression parameters according to the EMPC, aiming to produce the most profitable classifier. A real-coded genetic algorithm (RGA) is utilized to find the optimal parameter vector that corresponds to a maximum on the EMPC landscape. In another study, we apply a similar approach to develop ProTree, which uses the decision tree model structure but performs the decision tree construction such that it leads to the maximum profit outcome. An important take-away following from extensive benchmark studies is that using traditional models and evaluating them according to e.g. AUC might not lead to the most desirable profit outcome! Stripling E., vanden Broucke S., Antonio K., Baesens B., Snoeck M., Profit Maximizing Logistic Model for Customer Churn Prediction Using Genetic Algorithms, Swarm and Evolutionary Computation, forthcoming, 2017. Stripling E., vanden Broucke S., Antonio K., Baesens B., Snoeck M. (2015). 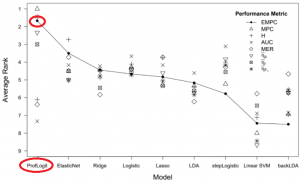 Profit maximizing logistic regression modeling for customer churn prediction. Data Science and Advanced Analytics (DSAA). IEEE International Conference on Data Science and Advanced Analytics (DSAA’ 2015). Paris (France), 19-21 October 2015 (pp. 1-10). Paris, France: IEEE. Haupt J., Stripling E., Baesens B., vanden Broucke S., Lessmann S. (2017). Profit-maximizing scorecard development. Credit Scoring and Credit Control XV Conference. Edinburgh (Scotland), 30 August – 1 September 2017. Verbraken, T., Verbeke, W., Baesens, B. (2012). A novel profit maximizing metric for measuring classification performance of customer churn prediction models. IEEE Transactions on Knowledge and Data Engineering. More and more industries are becoming saturated and experience a stagnating number of customers (e.g. the mobile telecommunication industry). Therefore, companies are shifting their focus from attracting new customers to retaining the existing customer base. The literature reports that customer retention is profitable because acquiring a new client is five to six times more costly than retaining an existing customer. Furthermore, long-term customers generate higher profits, tend to be less sensitive to competitive marketing activities, become less costly to serve, and may provide new referrals through positive word-of-mouth, while dissatisfied customers might spread negative word-of mouth. A small improvement in customer retention can therefore lead to a significant increase in profit. For successful targeted marketing campaigns, it is crucial that operators are able to identify clients with a high probability to churn in the near future. Our research involves the use of data analytics to find the customers at risk of churning in the near future. Next to extensively having researched traditional data mining techniques for churn prediction with success, our team is also investigating ways to incorporate social network analysis techniques to look at the churn problem from a new angle: a customer’s decision to churn is often not an individual choice, but is triggered by social influence of other (already churned) customers. Interrelational data plays an important role to extract critical insights in the characteristics of the propagation of churn. Traditional churn prediction is based on binary classification, predicted to churn or predicted not to churn. Survival analysis, as it does in other domains, predicts not only if a customer will churn but how long until they are expected to churn. This allows a company to intervene with some incentives for the customer to stay with the company. Accurate prediction of upcoming churners results in highly-targeted campaigns, limiting the resources spent on customers who likely would have stayed anyway. The explosive growth of the amount of available data and the reliance on data mining techniques have led to the creation of a myriad of new business models and opportunities. The field of direct marketing is not an exception and explores ways of getting competitive advantages by supporting research on the development of innovative and value-adding techniques. Self-organizing maps (SOM) are one of these techniques and have been applied for as many purposes as domains. Giving a powerful encapsulated facility for the analysis of complex databases by reducing the curse of dimensionality, this technique provides the direct marketer with the required tools to take accurate, quick and value-adding decisions. The inexhaustible source of applications has been widely discussed in the literature and has been combined with existing techniques in order to verify the statement that the whole is greater than the sum of its parts. Combined with clustering techniques, it is then possible to widen the scope of the analysis and obtain a better insight about the studied data. The extraction of so-called salient dimensions permits the direct marketer to identify and segment its prospects. Based on this exploration steps, recommendation systems can be developed that make use of the available data and knowledge in order to strengthen the relationship with the customers. There is an ongoing upsurge in the amount of businesses that provide an online platform for their services. This has made it easier than ever to expose potential clients to a wider range of products. Offline service points (stores, movie rental places …) are limited by their storage space, man power and budget, and can only afford to offer the most popular products that are likely to be consumed by clients. Online services however, are not limited by the same issues as offline service points, and can also offer unpopular products. 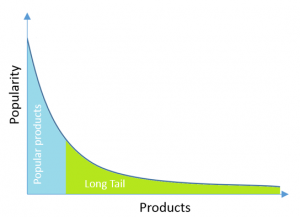 This phenomenon in which service providers can also offer products with lower popularity is called the long tail phenomenon. A common problem with offering your clients a large amount of products is that they have a harder time finding the products which they would consider buying. Recommender systems are the set of data mining techniques built to help overcome this information overload problem. By analyzing a user of a platform (online behavior, purchase history, demographic information) recommender systems will present the potential client with the subset of products he/she is probably interested in. Building suitable recommender systems has been proven to increase the consumption of offered products and leads to improved customer satisfaction. Stripling E., vanden Broucke S., Antonio K., Baesens B., Snoeck M. (2017). 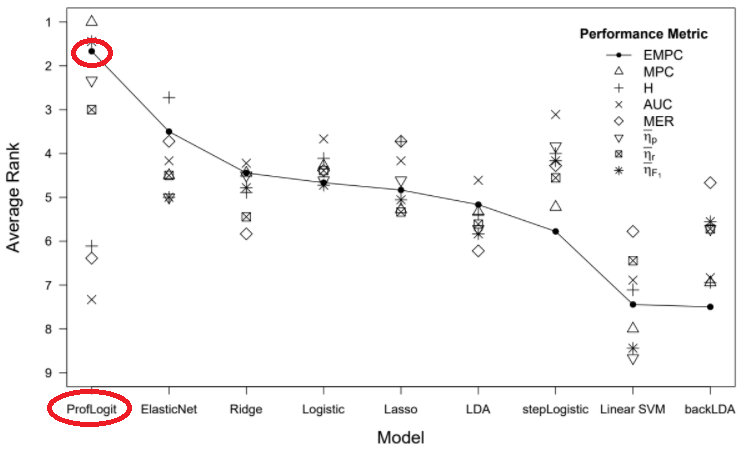 Profit maximizing logistic model for customer churn prediction using genetic algorithms. Swarm and Evolutionary Computation, 2017. Zhu B., Baesens B., Backiel A., vanden Broucke S. (2017). Benchmarking sampling techniques for imbalance learning in churn prediction. Journal of the Operational Research Society, –, 1-17. Zhu B., Baesens B., vanden Broucke S. (2017). An empirical comparison of techniques for the class imbalance problem in churn prediction. Information Sciences, 408, 84-99. Backiel, A., Baesens, B., Claeskens, G. (2014). Mining telecommunication networks to enhance customer lifetime predictions. Lecture Notes in Artificial Intelligence: Vol. accepted. Artificial Intelligence and Soft Computing – International Conference (ICAISC 2014). Zakopane (Poland), 1-5 June 2014 Springer. Seret, A., Verbraken, T., Versailles, S., Baesens, B. (2012). 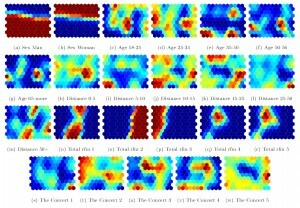 A new SOM-based method for profile generation: theory and an application in direct marketing. European Journal of Operational Research, 220 (1), 199-209. This package contains functions for estimating EMP (Expected Maximum Profit Measure) in Credit Risk Scoring and Customer Churn Prediction, according to Verbraken et al (2013, 2014), by: Cristian Bravo, Seppe vanden Broucke and Thomas Verbraken.